The Adelaide Fashion Festival is in full spin and with uni, work and fashion events to tend to I’m not sure how I’m functioning! 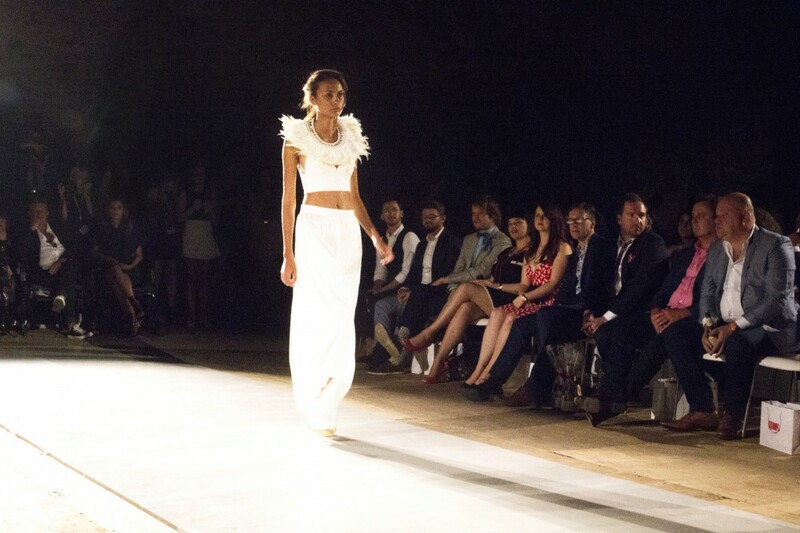 Last Saturday night was the SA Designers Showcase, held at the Old Adelaide Gaol. 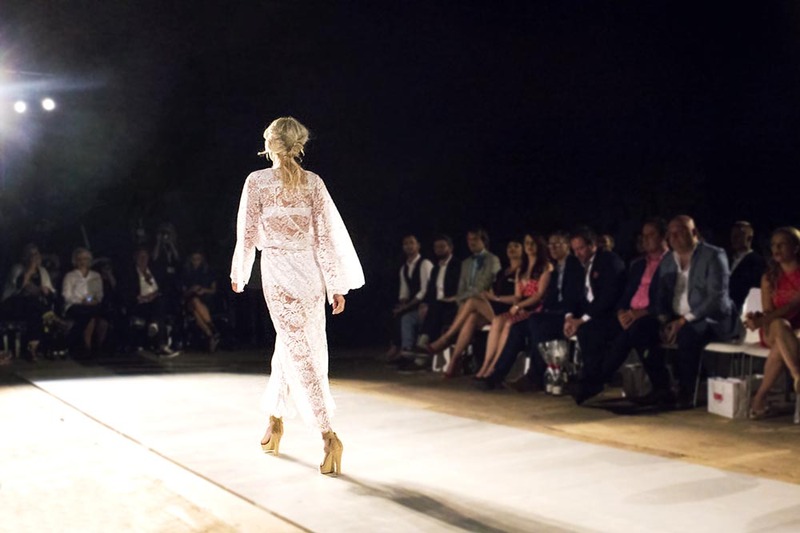 Before Saturday I hadn’t put much thought into the location, sure it was a gaol, but it’s probably a really iconic location to hold one of Adelaide’s most eventful nights for fashion of the year, right? And wrong. 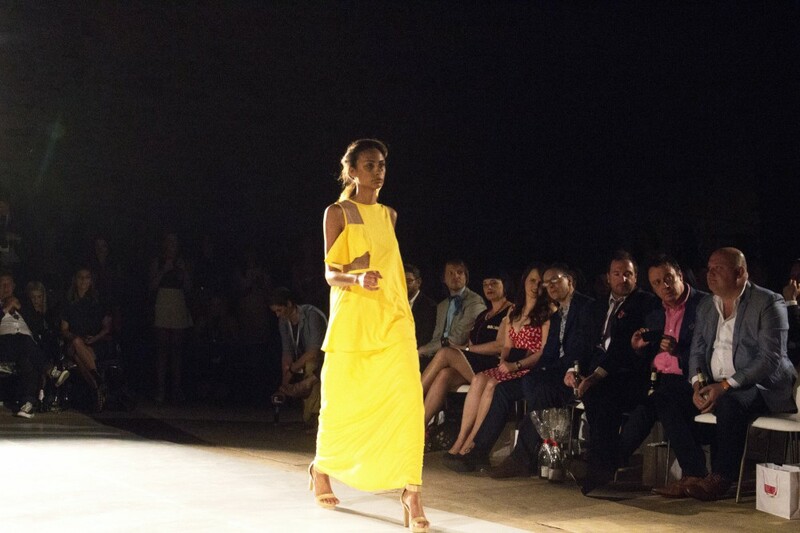 The gaol was gorgeous, the tall stone walls made for a compositionally elegant backdrop, the lighting looking beautiful for the runway. But when you see the models sitting around inside the cells, there’s just something not quite right about that! With a glass of champagne, or 2 (cough Maggie cough), the night was beginning with a bang. 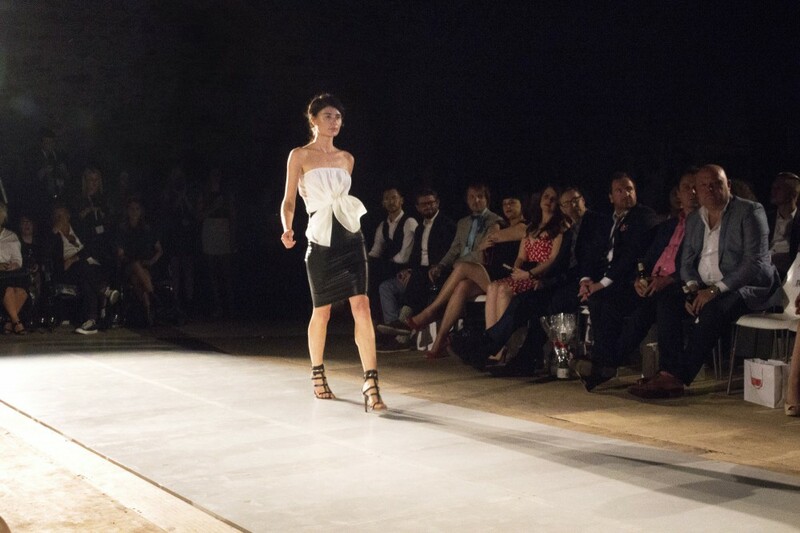 With my Fashion Global girls, we took to the very front row of the runway! 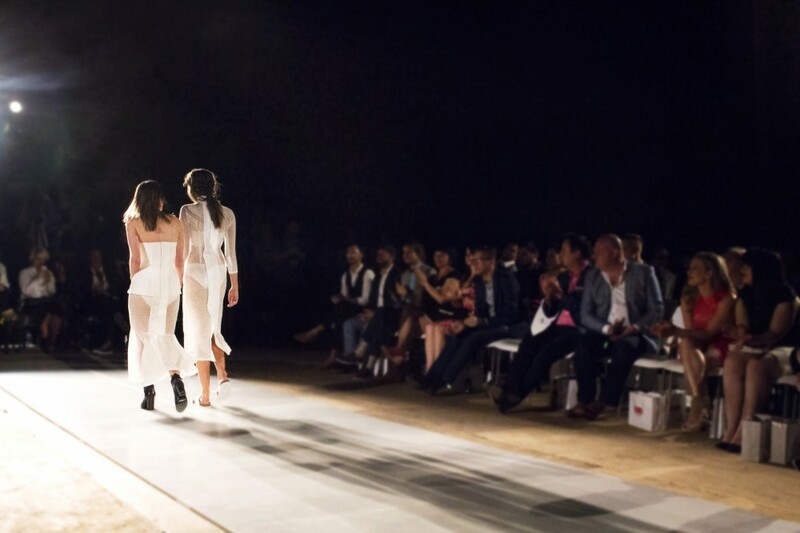 The Designers Showcase began with the top 8 Emerging Designers for 2014: Scott & Scarce, Simmone Standing The Label, Madeline The Label, Willow and Grace, SCK The Label, Elyse Barker, Millicent Elizabeth and Laura Jayne The Label. Such talent! My favourites were the pieces in monochrome (I know, how boring, but this is literally all my wardrobe consists of). The geometrical cuts of Simmon Standing The Label in a white crisp material were to die for. Although in saying this, I love love love the Tropic Fusion collection by Scott and Scarce! The night then followed with some of Adelaide’s leading fashion designers, including: Orbin Collective, Georgia Guy, GretaKate, casper&pearl, Chelsea Eve, Designer Duchess, Namoi, Necia, Liza Emanuel, Malachi Empire, couture+love+madness and Jaimie Sortino. I’m a sucker for casper&pearl and Chelsea Eve; i can’t say no to lace. Congratulations are in order for the beautiful Simmone, from her namesake label, Simmone Standing The Label, who took out the SA designer of the year!